I actually like the more formal version, not because I am a stiff grammarian—actually the current doyen of grammar, Benjamin Dreyer, urges us to end sentences with prepositions and forget the proscriptions to the contrary we learned in grammar school—but because of the solidity of the rhythm of the line: on WHAT can YOU de PEND; da-DUM, da-DUM, da-DUM. Right then I could depend on my grape nuts, blueberries, and milk and the solidity of the line, which I liked so much I said it out loud. I was sitting by myself—no, not by myself, our dog, Max, was sitting on the floor next to me, and when I said it he looked up at me quizzically, so I said it again. Max made no sense of it so he went back to looking at whatever he’d been looking at before. Da-DUM, da-Dum, da-DUM. It’s good to have a dog. it’s GOOD to HAVE a DOG. da-DUM, da-DUM, da-DUM. it’s GOOD to KNOW your SELF. da-DUM, da-DUM, da-DUM. be WARE the IDES of MARCH. da-DUM, da-DUM, da-DUM. stand UP for THOSE you LOVE. da-DUM, da-DUM, da-DUM. be SURE to BRUSH and FLOSS. I sat with Max doing da-DUM’s for quite a while. I was reveling in the feeling of solidity they gave me. It was heartening to know how much brick I could find in such a short time simply by looking for three iambs in a row. I’m such a simple man. I love my dog. I love my grape nuts, especially with blueberries and milk. I love the morning, especially with Max. I love that I have three children all in their 20’s who are thriving, thank God, and I love Sue, my wife, of 30 years. I fear the things we all fear, and I fear not knowing when they will come. Which brings me back to da-DUM, da-DUM, da-DUM. i HOPE we ALL find PEACE and JOY. Ah-ha, I added another da-DUM. The time had come for me to take my dish to the sink, wash up, and say good bye to Max and my reveries. It was time for me to go to work, to drive out to my office in Sudbury and see the patients who were waiting for me out there. The drive would give me a chance to get a new window, literally, onto the world, watching the wintry scenes as I drove past them, the snows still clinging to the now brown barked trees, the bare trees, buds barely popping in as yet, muddy patches in some fields where some melting’s come, the blue sky today replacing the heavy gray from yesterday, the sun ever brighter reflecting off the fields still filled with snow, a few horses seeing what they could forage today let out of their stalls into one of the fields, feeling on the precipice of spring with Savings Time just let in to provide us with more daylight or so the idea has it go. I watch the nature I know so well, having grown up in New England, these rhythms run me now as they ever did then. I turn on NPR, then switch to sports radio then to the classical station then to the other station that has 60’s songs I like, I channel surf and try to pay attention to the road. I look forward to seeing the people who are waiting to see me in the office. I feel grateful that I have a useful purpose to serve. I think to myself, I hope I do it well today. i HOPE i DO it WELL to DAY. When I was in medical school at Tulane, down in New Orleans, back in the mid-1970’s, I learned how to make red beans and rice. You may not think that sounds like much of a much, but it remains the dish more people ask me to remake than any other. Once you’ve had my red beans, you’ve just got to have them again. My daughter insists that I freeze them and bring them with me to New York whenever I make them in our home outside Boston. Our friends always ask, “When are you making those red beans again?” They’ve become a staple at our Super Bowl parties and we always clean the huge pot down to the last bean. And that’s the truth. Just like every talk I give is different from every other, every batch of red beans I make is different from every other. And probably none of them is as good as what’s simmering on the back burner of some shack out in the Bayou right now. But I’m getting there, one batch at a time. There’s some basics you do have to follow though. That much I can tell you. So you never use canned red beans. You might as well serve dog food and rice as serve canned red beans and rice. Pure mush. So you start with dried kidney beans. I buy two and a half pounds because I always make a pretty large pot of my red beans, why else bother. Sometimes I buy three pounds, even three and a half. Then you need to soak your beans in water overnight. They will plump right up so make sure you put them in a large pot and leave a good eight to ten inches of water over them for them to plump up into. When you come down in the morning your beans will be looking out at you over the brim of the pot. Now you drain them in a large colander and throw away any beans that look ugly. You don’t need any fancier or more technical word than that. Just throw out the ugly beans. And keep all the rest of those plumped up proud little beauties. Next, pour some olive oil into the bottom of the large pot that you’ve dried thoroughly (cuz oil and water don’t mix, don’t-cha know), and dump in a couple of chopped up onions and a chopped up large green bell pepper or two smaller ones. After a while, when they become translucent, so you can sort of see through them, the onions and the peppers that is, but not entirely see-through, then throw in about ten or twelve cloves of chopped up garlic. Now I love my garlic. You can use less if you want to. When it’s done you won’t hardly taste it anyway, I mainly put so much in for the aroma while I’m cooking. Once all of that gets mingled and settled in, then you can dump in all those lovely red beans, and listen to them hit the pot like rain on a tin roof. Now you hafta add some liquid quick, and you can pick whatever you want, I usually add some of that beef broth that comes in those cardboard quart containers, I put in about three quarts, and more later, but you can use water if you want to cheap out, or you can use a boullion cube, or whatever tickles your fancy, there’s no rule, but you do need some liquid right away. I usually add a full bunch of flat leaf Italian parsley with the thick part of the stems cut off. Then I take a three pound chunk of Black Forest ham and cut it into chunks and throw that into the pot, along with about seven or eight Andouille sausages cut up, and a couple of kielbasa cut up, and four or five Chorizo sausages cut up. Now you add whatever spices you want, but low on salt because the ham will have it. Bay leaves, oregano, thyme, pepper for sure, red pepper flakes (go light because you can add them at table), and whatever else moves you at the time. Then simmer for hours. Gradually the soup will thicken as the beans soften and a kind of gravy will come into being, a beautiful melding to behold and smell. It is so delicious. Taste as you go, modifying all along. This is your creation, make it live. There is nothing quite like making your very own red beans. Play with it. Have fun with it. Enjoy! I would love it if you sent me your comments and photos. Send to drhallowell@gmail.com. Thank you! Thank you for being a part of my community. We work hard to bring you useful and entertaining material, but it would all be for naught if you didn’t take the time to read it. So, again, thank you, thank you, thank you. What’s my message to you for 2019? Would you like me to have a message, or are you tired of messages? Maybe you’d prefer a couple of jokes, or a reliable cure for hiccups (the reason there are so many is that none of them is reliable), or my recipe for red beans and rice, which, honestly, is to die for. I learned it when I was in medical school at Tulane in New Orleans. Mmmmm, makes me hungry just to think about it. Or maybe you’d like another photo of our new puppy, Max, now 75 pounds, only 7 months old. But no, I am going to send you a message. I can provide all those other options in future newsletters if you’ll write to me and tell me which you want (drhallowell@gmail.com). My message for 2019 is one I am sure you have already guessed. It is terrible that I am so predictable. The sun rises, the sun sets. Taxes are due April 14. You set off fireworks on the Fourth of July. And Ned’s message? Love, love, love. Okay, so I say connect. Because you can’t love everyone. By the way, if you are one of those people who doesn’t know how to love, I have a guaranteed way for you to learn. This method is foolproof and will work on anyone, any age. Get a dog. But coming back to love and connection, these are the absolute proven keys to everything that matters most in life. This is a solid fact. Health, longevity, happiness, it all comes back to love and connection (and a dog, or a cat if you must). What do I mean by a connection? Anything you feel joined to, part of, desirous of, close to, emotionally attached to, moved by, motivated by, inspired by. Anything that gives meaning or joy to your life. A piece of music, a work of art, a football team, a meadow, the restaurant where you met the woman or man you love, the street where you found that 20-dollar bill when you really needed it, the boss who gave you a break when you really needed it, your grandmother, fudge, a funeral when it’s done right, New York at Christmas time, Cape Cod in the summer, oysters on the half shell, red beans and rice made by me, your children, the nap you take after Thanksgiving dinner, the tears you cry on someone’s shoulder, the person whose shoulder you cry on, the person who shows you how to forgive, the person who betrayed you asking for forgiveness, the light at the end of the tunnel, the single red geranium in a clay pot on the kitchen table there to greet me in the cottage I rented all by myself one summer week, heavy rain in the middle of the night when you’re in bed, any child looking up at you with trust, people over 40 who have not become cynical, my wife Sue, Tabasco, the memory of my cousin Lyn who died way too young, the sound of waves crashing onto the shore at Harding’s Beach where Lyn loved to walk, honeysuckles in Chatham, boiled lobster, my best friend Peter, playing squash, delivering babies, a straw hat with a red band, hoopla wherever it happens like at the Puerto Rican restaurant we ate at the other night, the Messiah, Fenway Park, snow before it becomes a problem, polite and humble people, the works of Samuel Johnson, every episode of Curb Your Enthusiasm, pasta, feta cheese, taramasalata, church music, Christ Church Cambridge, the memory of our dog, Ziggy, the fact that hope still does spring eternal, the works of Dav Pilkey, the Lincoln Memorial, and that we are all connected, you, and I, and all the rest of us, now and forever. Blessings upon all of you! Scientific research shows that your mind can be trained just as your body can be trained with practice. We go to the gym to workout and strengthen our bodies. Come to this workshop to train and strengthen your mind. You will learn ADHD friendly mindfulness tools and techniques that increase your focus and ability to center yourself, calm your inner chaos, and improve your interpersonal effectiveness. You will experience an increased engagement in all aspects of your life and will be better able to manage daily stress. Study Skills, Executive Functioning, and You! Come join us at the Hallowell Center for our newest 6-week group for kids ages 11 to 14 who are interested in learning more efficient ways to study, stay organized, and manage their time inside school and out. The full 6-week package is priced at $750.00 and includes a copy of Executive Functions at Home and School: Six Skills Young Learners Need to Succeed by our own Christina Young. This workshop is a day-long course in executive functioning and related college-readiness skills for college students with ADHD. 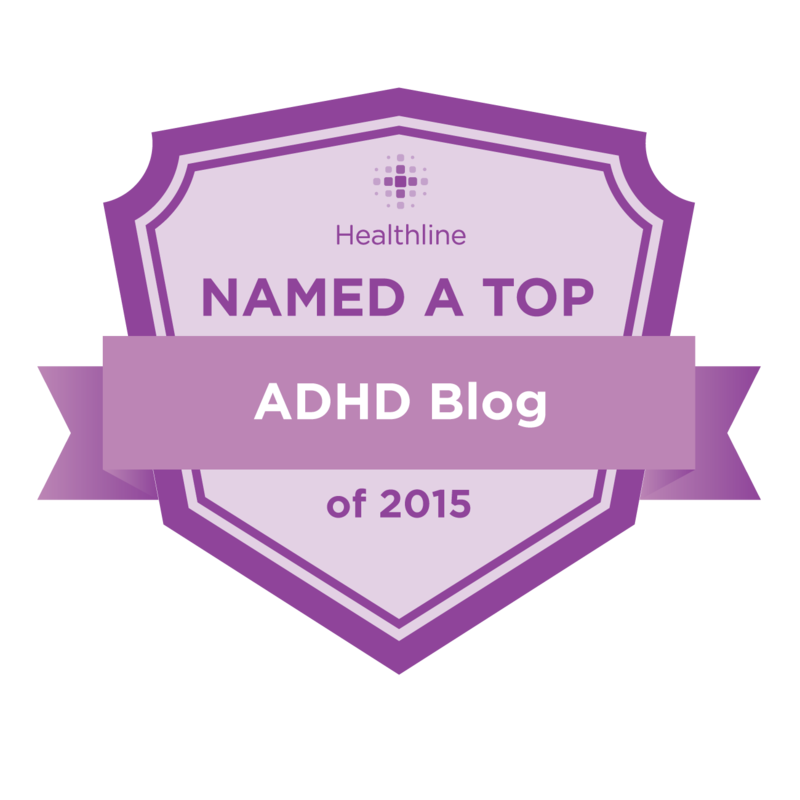 It derives from evidence-based – specifically, cognitive-behavioral – interventions for ADHD that have been shown to lead to significant improvements in ADHD-related symptoms and impairment. Objective: Students will learn strategies that lay the groundwork for positive habits, academic success, and personal growth. The DBT group is comprised of 4 four week modules for a total of 16 weeks. Dialectical behavioral therapy (DBT) is a form of Cognitive Behavioral Therapy that incorporates eastern philosophies of Mindfulness and Radical Acceptance. The Hallowell Center has specifically tailored this DBT workshop to fit the needs of the ADHD population. The workshop with focus on issues that those with ADHD struggle with on a daily basis and will help participants develop strategies to help manage those struggles. A summer camp like none other! Families will learn, connect, and explore together in the most beautiful place in America, the Sleeping Bear Dunes National Lakeshore! To discuss how you and your family may benefit from this transformative experience, call Sue Hallowell, LICSW at (781) 820-0881. New and returning campers welcome! Now there’s good parenting! Please explain to your kids that, even although the content or the memory of the conversation may be lost, this older person will feel really good. It’s the warm hug, the sensation of someone sitting shoulder to shoulder, the eye contact, the lively chatter or experiencing something out of the ordinary that makes someone feel good. These folks won’t quite know why they are smiling more, feeling brighter and a little more energetic after the interaction. They may not be able to thank the person who made them feel this way, but their heart, soul and general physiology will get a kick up. I have no hard evidence to support this, unless we could put a person in a PET Scan before and after a positive 15-30 minute interaction and compare the levels of brain activation. I’d wager, based on what I have observed, that the differences would be startlingly significant and possibly endure for hours. Bring out an old photo album and go through it with them. Fill in the details from your memory to enhance the experience. Bring out a checker board or another board game and play. Point out their good moves, or just let them win already. If they have trouble with the game, get a 2nd person in on the act to prompt them. Share some magazines on a topic of their interest − fashion magazines, or a Sports Illustrated or a National Geographic where the pictures are dramatic. Teach them how to play a simple video game where they man the controls. Keep it simple and fun. Let them tell you stories of the war, or when they were kids. Forget yourself and get into their movie, try to see and feel the experience as they describe it. Download a video of a Frank Sinatra, Dean Martin or some famous singer from their youth in concert and sing along. Karaoke works great even if they can’t read the lyrics! Put a microphone in their hand and watch them become a superstar! Have a back up activity in case the one you chose doesn’t pan out. Either way, your effort is one of kindness and affection. Better than a present or money, the gift of your time, gratitude and attention is what Christmas or any family gathering is all about. Happy Holidays, Merry Christmas and Happy New year to you all! I just completed teaching my course about ADHD on Cape Cod at the Cape Cod Institute. If you’ve never taken the course, you ought to consider it. It’s a lot of fun. You get a week in Eastham, or whichever nearby town you choose–more on this later–and after spending 9 – 12:15 learning about ADHD in the morning, you get the afternoon and evening free to play. People always have a ball. Attendees make friends with each other, and almost everyone leaves feeling glad they came, not just for what they learned, but, more important, for the people they met and the experiences they shared. It’s all produced by the Cape Cod Institute (Cape.org). They offer 3 courses per week all summer long, each on a different topic in mental health, each given by one or two authorities in a wide range of different fields. It was started 39 years ago by a marvelous psychiatrist, Dr. Gil Levin, who was at Mt. Sinai Medical School when he opened the Institute. He has since passed the operation on to his son, Alex, who ran it for the first time this summer. We had about 55 attendees in the course this year, in which I introduced my new name for ADHD. I now call it VAST, Variable Attention Stimulation Trait. Carrie Feibel, who attended last year’s course and is Health Editor at KQED in San Francisco, came up with the name and I love it. I urge you to check out the Cape Cod Institute for yourself. Now, let me commend the rest of Cape Cod to you. A few memories from the week. Hatch’s seafood and produce in Wellfleet Center. We got six lobsters steamed and cracked which fed us and our friends just wonderfully along with the corn from the adjoining farm stand. LeCount Hollow Beach. You leave your footwear atop the dune, then walk down to the beach and the surf. I grew up in Chatham and it makes me shudder to think that now we have to watch for seals and the risk of sharks that might be following them, but we do. Nonetheless, the beaches on the Cape, especially those that face the ocean, give me doses of majestic beauty like nothing else. Provincetown, Commercial street, a place where people can be whoever they want to be. It is so wonderful to walk through that little town and bask in how great, and rare, true freedom really is. The Wellfleet Drive-In. Although we didn’t go there to see a movie, and rarely do, it is a landmark, one of the first places I made out when I was a kid, and a wonder that it still stands. I hope it never closes down. Arnold’s. Lobster rolls, fried clams, beer. Isn’t this summer at its best? The occasional rainy day, reading inside, deciding what to cook for dinner, we opted for linguine with clam sauce with plenty of crunchy bread for dipping. Driveways made of broken oyster shells. The pungent salt air when you get near the beach at just the right tide with the right wind. Horseshoe crabs. Blue claw crabs. Seagulls. Beachgrass. Roadside stands selling jellies made of beachplums and honeysuckle. Standing barefoot on the white lines in parking lots so as not to burn your feet while you wait for an ice cream from a truck. The many bars where when you sit down and look around you have the passing fantasy that maybe you really should have spent your life as a beach bum. The many churches, some splendidly white, some in such disrepair you wonder why God doesn’t just send a lightning bolt and end it right there. The spectacular houses lining the best roads belying the poverty and broken down houses so many of the locals live in while the super houses go empty through the winter. Hydrangeas and wild roses galore, wildflowers everywhere, each marshy area boasting cat-o-nine-tails standing like fat Churchill cigars, titling in the wind. To me, it was, and always will be somewhat, home. The fact that if you are driving it is so hard to get onto the Cape and so hard to get off makes you wonder why so few people live here year round. Maybe some day.